NOTE: CGPAT 2012 Exam forms will be available from June 4th to June 19th ( dates extended till 21st June ) at respective postoffices of CG. The admission in first year of B.Sc. 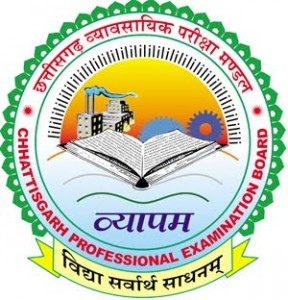 (Agri) is done on the basis of a merit list provided by the Chhattisgarh Professional Examination Board of the State Government. The Board conducts a Pre Agriculture Test (PAT) for B.Sc. (Agri) and B.SC. (Hort) courses, Pre Engineering Test (PET) for B.Tech. of Daity Technology and Agriculture Engineering, Pre Medical Test (PMT) for B.V.Sc.& A.H. course of Veterinary and Animal Husbandary. The roaster of reservation of seats of State Government for different categories is followed for these admissions by advertising in the Newspapers. 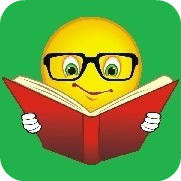 Student must not below the age of 17 years on 31 st December of the admission year. Student passing 10+2 system of examinations with Physics, Chemistry, Mathematics/Biology/Agriculture and English/Hindi subjects shall be minimum requirement for admission to B.Sc. (Agri) or B.Sc. (Hort) degree course. Student passing 10+2 system of examinations with Physics, Chemistry, Mathematics and English subjects shall be minimum requirement for admission to B.Tech. (D.T.) or B.Tech.(Agri. Engg.) degree course. Student passing 10+2 system of examinations with Physics, Chemistry, Biology and English subjects shall be minimum requirement for admission to B.V.Sc. & A.H. degree course. Bilaspur, Raipur, Ambikapur, Jagdalpur and Kawardha (Kabirdham) located Government & 13 Privates Agricultural Colleges affiliated to Indira Gandhi Agricultural University. According to Rules, 5 Government Agricultural University kept the seats for SC, ST, OBC, Ex-soldier, Freedom Fighter, handicapped (disabled). In all Chhattisgarh Agriculture Colleges and Chhattisgarh Departments 33 percent seats kept female candidates.